Viper was the phenotype SUPERSTAR of our thousands of miles of travel. Most of us appreciate the front end and soundness of the LU sired cattle. 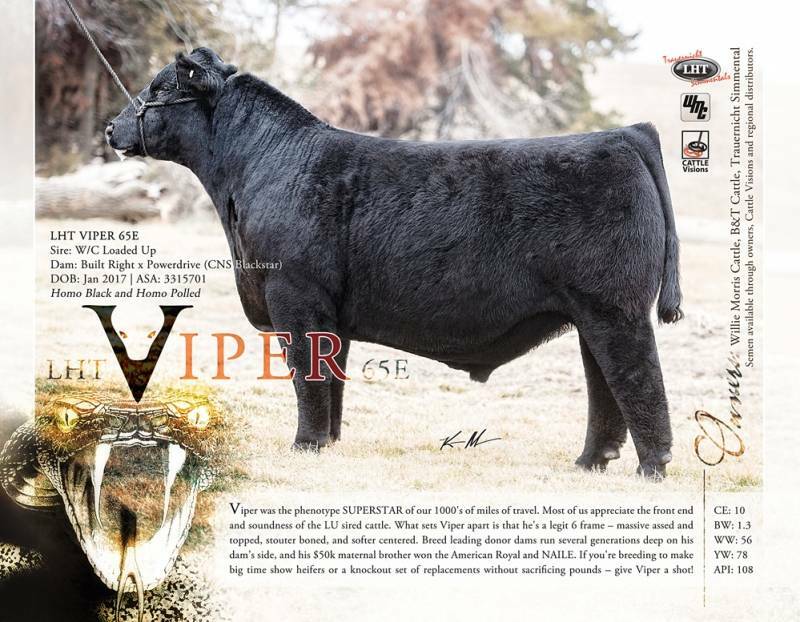 What sets Viper apart is that he's a legit 6 frame - massive assed and topped, stouter boned and softer centered. 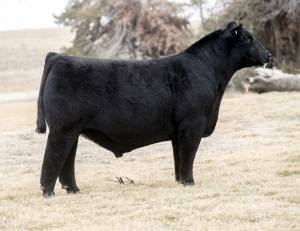 Breed leading donor dams run several generations deep on his dam's side, and his $50k maternal brother won the American Royal and NAILE. If you are breeding to make big time show heifers or a knockout set of replacements without sacrificing pounds - give Viper a shot!